Emergency Dentists USA is standing by to handle your dental emergency by directing you to the top St. Petersburg emergency dentists without the hassle of searching on your own. Our 24-hour emergency line provides a live operator who can help you to set up appointments or find the right dentist when you need to get out of pain and back on the road to a healthy smile. Emergency Dentists USA provides a wonderful listing of after-hours dental offices along with emergency dentists in the St. Petersburg area, making it easy for you to get the dental care that you need on your schedule. A big thank you to Emergency Dentists USA for helping me out when I couldn’t find a dentist open near me. Their site is very helpful as well, I now have it set as a favorite in case anyone in my family has a dental emergency, I will know where to go. 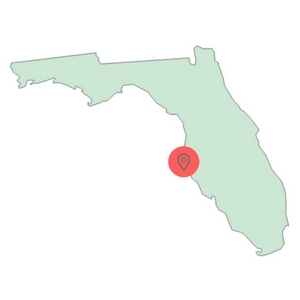 Finding the right St. Petersburg emergency dentist is just a matter of scrolling through our listings or talking to a live operator who can point you in the right direction for your dental care. With plenty of options for appointments, St. Petersburg emergency dentists are standing by to handle your emergency right now. There are several different types of emergency dental clinics that are available to you. Walk-in dental clinics allow patients to come in for dental care without an appointment. 24-Hour dental clinics specialize in being open 24-hours per day. There are no 24-hour emergency dental clinics in St. Petersburg, but there are emergency rooms open 24 hours. Also, there are after-hours dental clinics which provide dental care after normal business hours. Finding the right St. Petersburg emergency dentist is as simple as scrolling through our website and choosing the dentist with office hours to suit your needs. Choose our 24-hour hotline to speak to an experienced operator who can help you to find your St. Petersburg emergency dentist right now. Description The last thing you want is to encounter your loved one curled up in bed all night with severe pain! Simply use our easy hotline, and you can get linked up with the right emergency dentist to take care of whatever emergency you may face. Description: This practice is open from 8AM until 2PM for those who need a quick appointment on a Saturday. Whether you are experiencing an abscess, broken or cracked tooth, or any other problem, this clinic will be here for you faithfully on demand. Description: Open for your convenience on Saturdays from 8AM until 1PM, this dental center has long had a strong reputation in the community. Known as a location where patients feel at ease immediately, let the experts take care of what ails you within the dental realm, and make you feel at home while they’re at it. Description: This is a St. Petersburg dentist that is known for their pleasant demeanor and for always doing a fantastic job. Many reviewers have stated that from the moment they walk in they feel welcome, safe and well informed. Head dentist Hillary has more positive reviews from patients than many other practices in the area, and is known to be an absolute expert when it comes to quickly diagnosing the source of dental pain, and keeping you and your family comfortable in the long run. Description: Aspen Dental is open late until 8PM for anything your friends or family may run into in St Petersburg, whether it is an all-out emergency or just the need for a checkup. If one of your teeth has been aching for a long time, it is of the utmost importance to have it looked at. Many these days are worried about available finances, and the staff at this clinic will step up to help you in nearly any situation. A visit to a St. Petersburg emergency dentist is similar to visiting your regular dental office. Gather your most recent dental x-rays and paperwork to bring with you to visit your emergency dental visit. Also, you’ll want to check to ensure that your emergency dentist accepts your payment method or your insurance. Try to arrive at least 15 minutes before your emergency dental appointment to fill out any necessary paperwork. Bring a list of your current medications to the visit if possible and let the staff know if you have any known medical allergies. 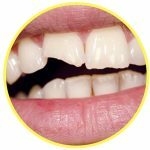 There are quite a few dental emergencies that are common and include soft tissue injuries to the mouth that might include a broken or chipped tooth. Other dental emergencies might include a knocked out tooth or even several teeth that are knocked out, a broken wire on your braces or loose brackets, and even an object caught between your teeth. 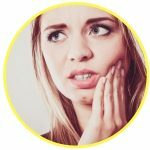 Each situation is unique, making it important for you to see a dentist for any of the common dental emergencies described here. If you have a toothache, rinse your mouth thoroughly with water and then floss the teeth gently to remove any debris that might be stuck between teeth. Use a cold compress to lessen the swelling on the outside of the cheeks or the lips. The use of a cold compress will also help to lessen the pain. Make an appointment to see your St. Petersburg emergency dentist as soon as possible to find the cause of the toothache and relieve the pain. If the tooth is broken in a fall or through a sports injury, visit your hospital emergency room to ensure that your tooth is the only injury. If possible, save the pieces of the tooth to bring with you to the dentist. Use water to rinse your mouth and the pieces of the tooth. Place a cold compress against any areas of the mouth that are swollen and use gauze to apply pressure to areas that are bleeding. A crown might become loose or fall completely out because of tooth decay beneath the crown. You might feel pain when chewing with the tooth that is no longer covered by the crown. If your crown has fallen out, clean it with plain water and use an over-the-counter dental adhesive to fill the interior of the crown. Place the crown over the tooth and use gentle pressure to hold it in place. If you are unable to place the crown over the tooth, bring it with you to see your emergency dentist as soon as possible to replace the crown and protect your tooth. When the dentist is no longer able to fix the tooth using a crown or a filling, you might require an emergency tooth extraction. In many cases, the St. Petersburg emergency dentist will begin your procedure by taking an x-ray of the tooth and performing an examination. Then, he or she will use a general or local anesthetic to ensure that you are comfortable during the procedure. A special dental tool is used to remove the tooth from the gum or to break the tooth and then remove it completely. The gum is stitched closed using a type of material that dissolves over time. Gauze is placed in the gum to control any bleeding. After your emergency tooth extraction, it is important to follow your dentist’s instructions and to take any medications as directed. If your dental emergency stems from a fall, a sports injury or even a car accident it is best that you visit the local emergency room because you might have broken bones or other damage to your body. However, visiting the emergency room for a toothache might not be the best decision because your emergency dentist is trained to handle that dental emergency immediately. At the ER, your physician is not a dentist and most hospitals do not have the equipment or staff to fix a damaged tooth. This means that heading straight to the emergency room might be just a stop on the way to the dentist’s office. An extra medical bill and a long wait in the ER can be avoided if you head straight to your St. Petersburg emergency dentist with your dental emergency. If you are faced with a dental emergency in St. Petersburg, give our 100% free referral service a call and let us do the work finding a perfect dentist for you! When you choose a new St. Petersburg emergency dentist, it is important to check out his or her credentialing and licensing. You can use the American Dental Association’s website located here: www.ada.org to ensure that your new dentist is properly licensed. You can also find information about St. Petersburg emergency dentists and their credentials on the Florida Dental Association’s website located here: www.floridadental.org. This website offers tips for choosing a great dentist and for keeping your teeth healthy. 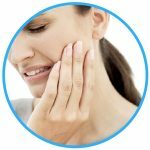 Where can you find a 24 hour emergency dentist in Tampa, FL?